Learn what type of documentation you will need in order to request accommodations. If you are on a high school education plan such as a 504 or IEP, make sure that it spells out your testing accommodation needs clearly. Identify the contact at your school who will be accessing the online system and working with you during this process. Obtaining accommodations is much easier if you have help from school staff. Find an evaluator (if needed) and schedule testing with plenty of lead time. Some evaluators can take several weeks to complete their reports. If you have any reason to think you may need to use the appeal process (e.g., if your case is not clear-cut), allow double the usual amount of time for obtaining accommodations. Stay in contact with your college admissions counselor during this process to navigate any obstacles that may arise. Even if you have a 504 plan or IEP (or the private school equivalent) in place, you will probably need additional documentation for the SAT. For conditions other than physical disabilities, you usually need to obtain neuropsychological or psychoeducational testing from a professional – typically a psychologist. The test report should clearly state a diagnosis, the basis for the diagnosis, the recommended accommodations, and the justification for the accommodations. It also helps to have had testing accommodations in place at your high school for at least four months prior to requesting accommodations on the SAT. The College Board recommends allowing seven weeks for the process of seeking accommodations. Optional teacher survey forms are available as well. Families must sign a release to have school records sent to the College Board. Many different accommodations are possible, but the easiest ones to implement (such as extra time) are the easiest to get approved. If your disability only affects one aspect of the test (e.g., dyscalculia, which only affects the math portion), you will only be eligible for accommodations on that part of the test. Other test formats may be available, such as a computer version with a screen reader. Extra time and test translation are available to English language learners. The College Board requires the Student Eligibility form, which should be available at your school. 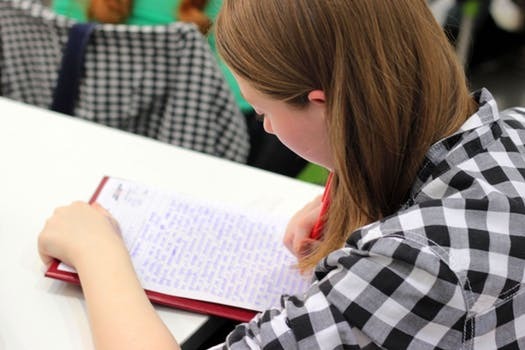 Students may submit the form online with the school’s help (the preferred method), or independently – with no help from the school – by regular mail. Having help from your school, and having a 504 plan or IEP in place already with similar test-related accommodations, greatly speeds up the approval process. If your request is approved, you will receive a letter with an “SSD code” that must be used for test registration. Do not register for the test until you receive this code. If the you are not satisfied with the College Board’s decision, you may file an appeal. You may be required to provide additional documentation to justify your appeal. If you are approved, bring your eligibility letter with you when you take the SAT. You can view the College Board’s official policies on accommodation here. When you register to take the ACT, you can indicate a request for accommodations, which will begin the process. The ACT will send you an email which you should forward to the school official who will be helping you.The ACT manages accommodations requests through its Test Accessibility and Accommodations system (TAA), which is only accessible to school administrators. The ACT has two accommodations options, National Extended Time and Special Testing. National Extended Time allows students up to time and a half on the ACT, typically in a room with 10 or fewer students. Under this condition, students may not return to a section of the test they have previously completed. Other accommodations fall under the category of Special Testing, which typically occurs at the student’s school. Examples of such accommodations include the presence of a support animal, testing spread out over multiple days, and alternate test formats. Schools that offer Special Testing generally set their own exam dates. Students must have a disability diagnosis documented by a qualified professional. Physical disabilities must be documented by a physician. The disability must impact ACT performance and there should be a documented history of accommodations, preferably on school testing. Documentation needed includes an IEP or 504 plan (or private school equivalent), educational/neuropsychological testing, and optional teacher surveys. Documentation for psychiatric disabilities (e.g., anxiety, depression) must be no more than one year old; documentation for learning disabilities, autism, ADHD, speech/language disorders, and medical conditions must be no more than three years old. Requests should generally be submitted by October of 11th grade. Students must register for the test and submit a request for accommodations by the test registration deadline. However, only school officials can use the TAA system and apply for accommodations. The ACT takes about 6 weeks to review the materials, though if an appeal is necessary, the process can take twice as long. If you plan to retake the ACT with the same accommodations, you should ask your contact person at school to ensure via the TAA system that the accommodations will be in place during the retesting. Don’t assume that it will happen automatically. For more information, read the official ACT accommodations policy here. Learn more about accommodations students can request in college.